- 15 different teams to build, all with different special combo attacks that increase with your team size! - Unlock 10 different Heroes to lead your cats into battle. Use their unique alliances to reinforce your deck and give your battle a boost. - Battle other players globally in PvP, or master the unfolding adventure and quests for loot. - Gorgeous hand drawn art, with unique and entertaining characters. Collect and learn about every one of these fun super heroes! - Multiple strategies for combat and building the ultimate teams. 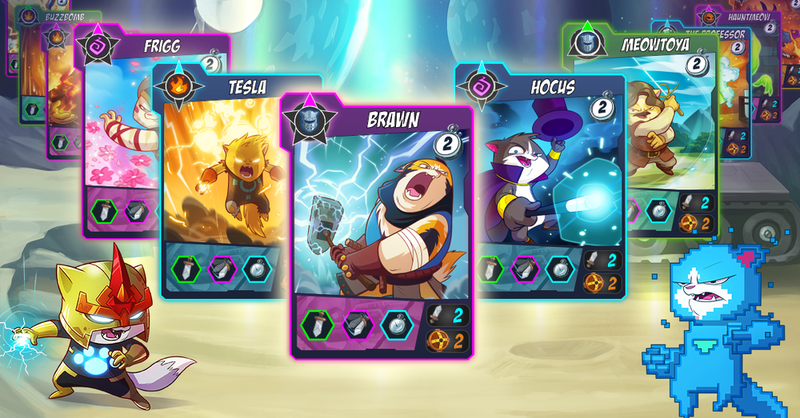 Mix and match cards for their abilities, or amass a full team for true furrocity. Join Tap Cats: Battle Arena on social media!